Google and the National 4-H Council are partnering on a new computer science and computational thinking initiative, with Utah State University Extension 4-H leading the way for the rest of the country. USU Extension faculty members co-created the curriculum and resources for a computer science career pathway, which will roll out to the rest of the 4-H programs across the country. The new program will teach 4-H members technical skills like coding as well as teamwork, resilience and problem solving. USU Extension faculty members led a training for the new program in July. 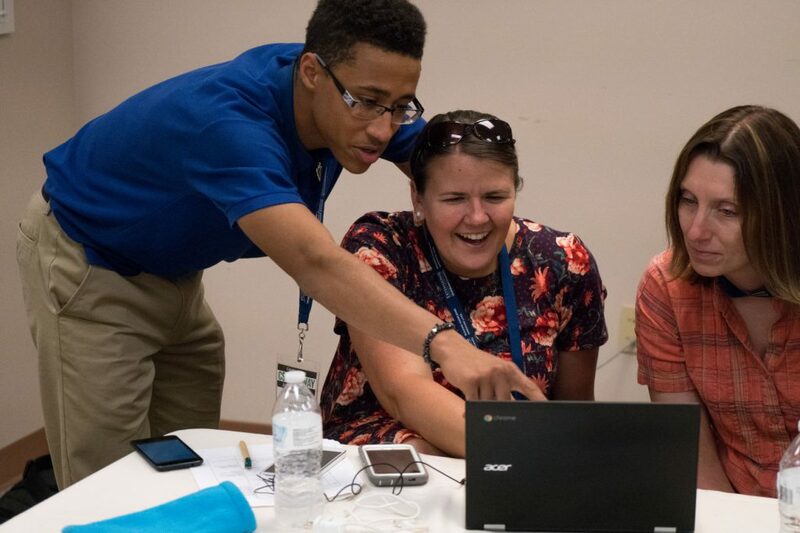 Representatives from 4-H programs from 10 states travelled to Utah to learn and experience a variety of resources and activities to build the capacity for computer science in their state. With Google’s support, the 4-H program will equip community educators with funding, curriculum, training, devices and the support of Google computer science experts. As with many 4-H programs, this program will feature teen-led, peer-to-peer teaching. The program is funded by a $1.5 million grant from Google. As a community organization, USU Extension relies on partnerships at both the national and local levels, as well as a wide network of volunteers, to create successful programs such as the new computer science program. For more information about USU Extension 4-H programs, visit <a href=”http://www.utah4h.org” target=”_blank”>utah4h.org</a>.